Captured at a playing ground of a hotel. Playing swing is a great outdoor activity for your kids. Make sure first its strength. These swings made from used tires. Nice post for the B&W theme! Love that the swings were made from tires!!! 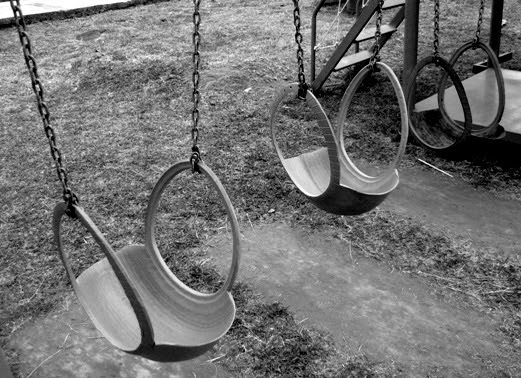 Lovely photo of these unusual swings! Those swings are in an interesting shape. More support for sitting. Interesting shot.